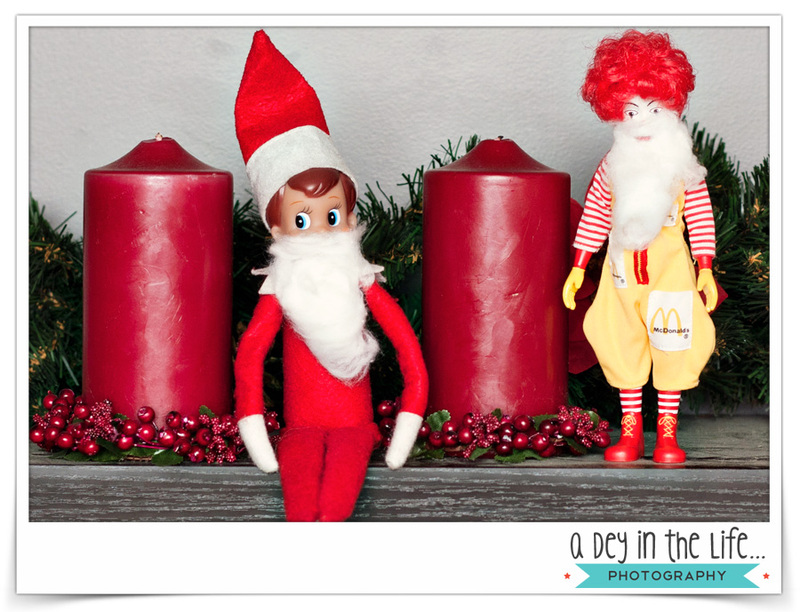 It was only a matter of time before Creepy Ronald got in on the action again. There are only a few more days to make mischief with his new friend. He has to make the most of it before Ruettiger flies home to the North Pole until next December! Last night, they decided to wear beards and pretend to be Santa Claus! Ho Ho Ho! 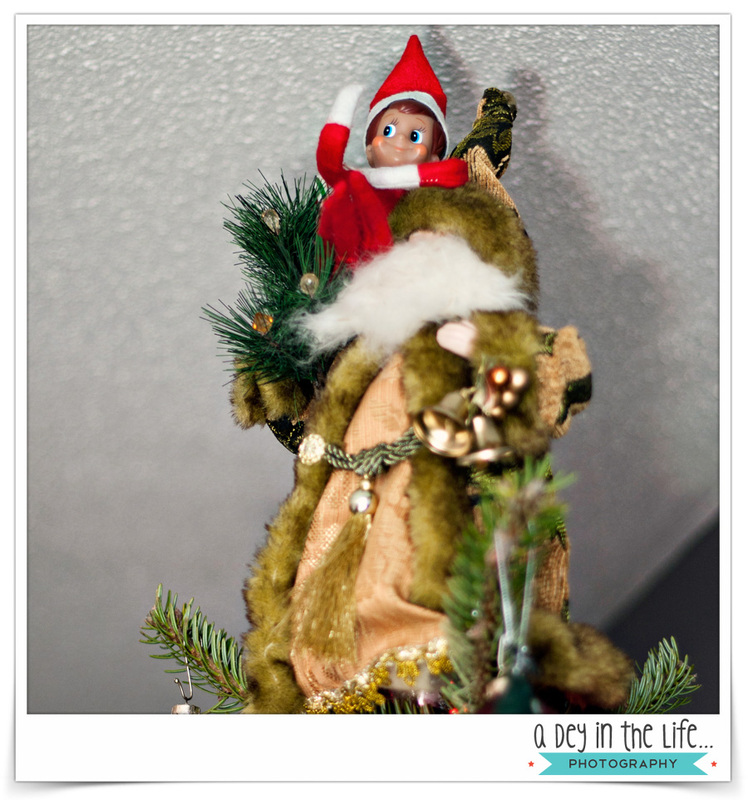 Go right ahead and PIN this idea for your Elf on the Shelf! It didn’t matter that he climbed to the highest point of the Christmas tree, Deklan spotted Rudy as soon as he walked into the living room this morning. Ruettiger has a good vantage point from the very top of the tree with Santa… I sure hope the Duders behave themselves, because they won’t be getting away with much while Rudy is on lookout from up there! We interrupt your regularly scheduled blog programming to bring you the Holiday Adventures of “Rudy” Ruettiger! 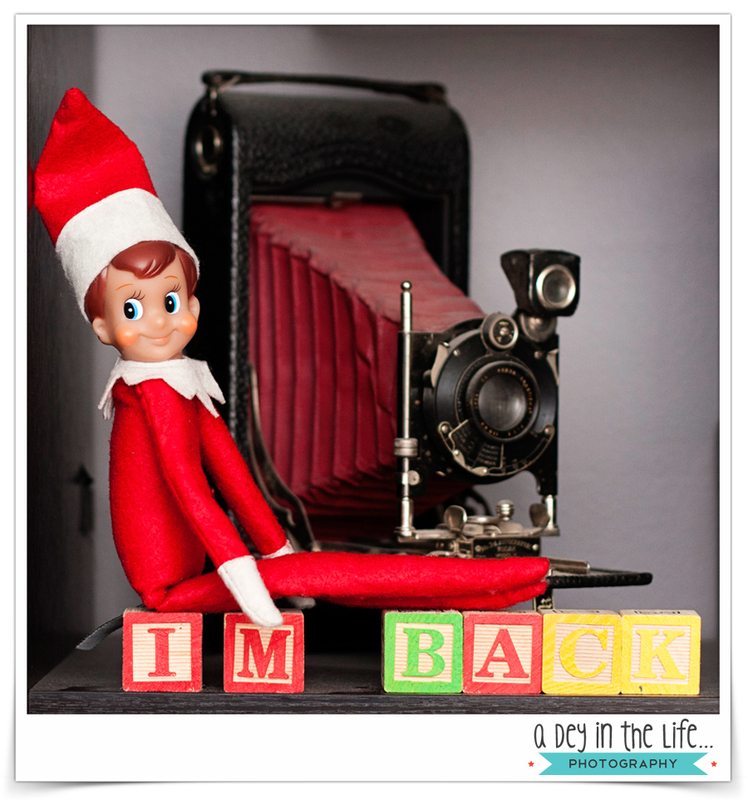 The Dey family was thrilled with 3rd annual arrival of our holiday elf this morning! He’s back! 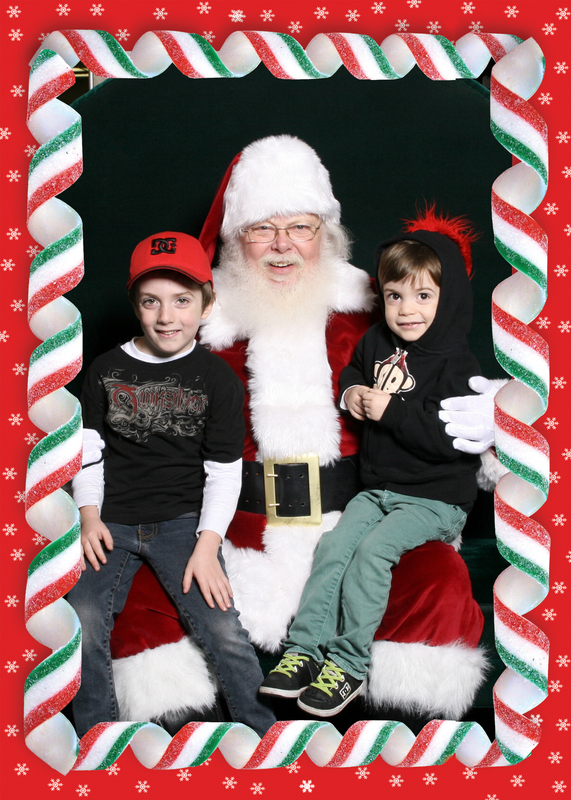 And just to keep spirits on high, we went to visit Santa at the mall today. Deklan asked him for a Hummingbird feeder and a pair of track pants. Easton asked for a rubber ducky, a book, and an orange lollipop. How awesome are these Duders?! Her brother was the star of yesterday’s post, so it only seems fair that Isla get her turn in the spotlight today. Pretty convenient that I just so happened to have this portrait of her, waiting in the wings, wouldn’t you say? And since I’m already knee-deep in holiday spirit, I figure it’s highly appropriate that this is from 2010 – Isla’s first Christmas. It’s still one of my favorite Christmas portraits to date. 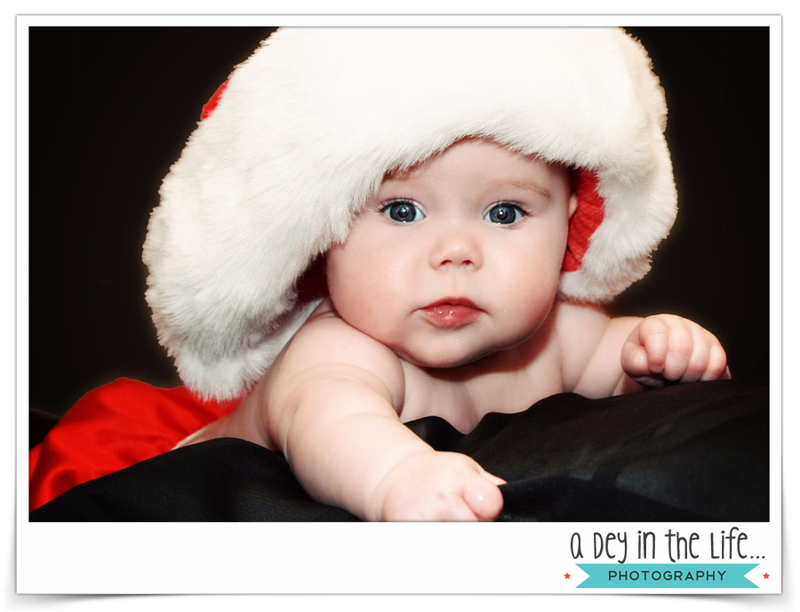 Doesn’t she make a such sweet little Santa Baby?! Are you and your family starting to get ready for the holidays?